Facial cleansers are known as the first step for a clear, beautiful skin. 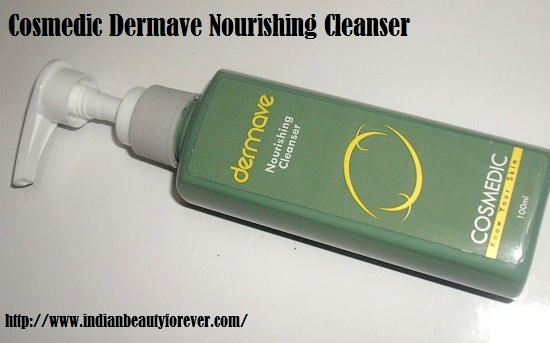 I will review this Dermave nourishing cleanser from the Dermatologist tested brand Cosmedic. 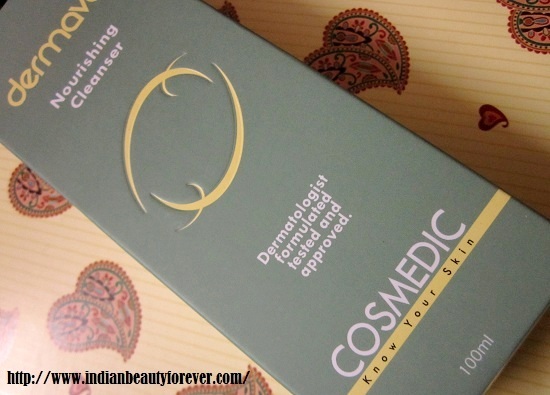 This cleanser is meant for face and body as well. I got this sample, about more than 3 weeks ago and it’s sufficient time to know how it fared! Well, it’s a nourishing creamy cleanser and I have used it only for a week but then my mom was using it continuously since then, as she has very dry skin. Experience: This Dermave face and body cleanser comes in a pump dispenser teal green packaging. This cleanser claims to gently cleanse the face and nourishes the skin as well at the same time. It’s has a very thick texture due to which a little bit is enough to have a complete facial cleansing. As it’s very thick in texture, you would have to wet your face, take it in the palm, rub to make it lather and then use it to cleanse. It cleans the skin without stripping the natural moisture and also there wasn’t that sliminess that we may feel with some other face wash but then my oily areas use to get a little oily after sometime, whereas the areas like cheeks which are normal, didn't feel oily or greasy. As a little can go a long way, it will last long! But still, I feel the price is a bit high. My mum has dry mature skin and she has been using it continuously since then, there isn’t any dryness or stretchy feeling since it provides moisture and nourishment to the dry skin as it has got a creamy formula. She likes it a lot and before that she was using Dove creamy cleanser. Dry skinned people will love it!! All the ingredients are mentioned on the pack that says it has parabens too so; it’s not for those who avoid this not so avoidable preservative. Texture is very thick due to which a little goes a long way. Lathers decently and cleanses properly. It’s great for dry skin to provide adequate moisture as it as a creamy formula. It is great for dry skin but may be not for oily ones. 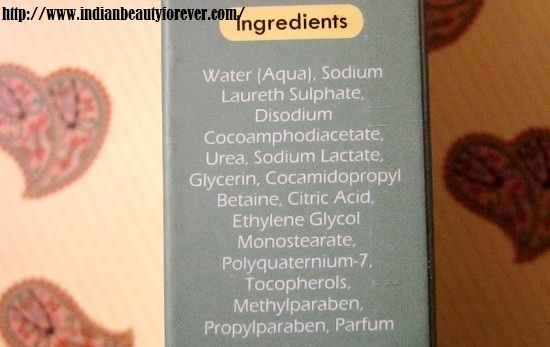 It has parabens, so if you avoid parabens then you may skip this. My Take: If you have dry skin and won’t mind the price then it’s for you but not for the oily ones I suppose. It’s can be used for body as well but I am not sure, as haven’t used it as body wash! 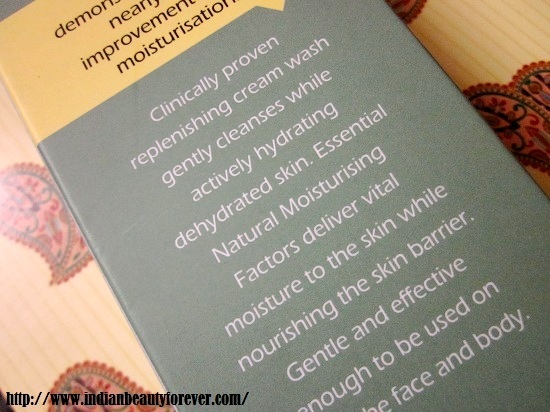 Nice Review :) i am also trying two of their products... lets c how they fare ! Thank you Tanu. :) I am impressed my the eye cream that I am currently using! Ohhh. New New to me!! :O Will try for sure! Sure, It's a newly launched skin care brands. Found your blog and it's fabulous! I just launched a fashion/beauty channel on YouTube - would love if you'd check it out and tell me what you think - it's at http://www.youtube.com/sofiajasmine.